Zamnesia Liposomal CBD 2.5% couples the ancient therapeutic power of cannabidiol with the rapid absorption capabilities of liposomal technology. Our new formula offers a turbo CBD boost while still guaranteeing the highest European standards. This unique recipe is a revolutionary formula unlike other products available today. Liposomes are microscopic water "bubbles" with the canny ability of delivering active ingredients (in this case CBD) through the body and directly to the cells that need them. Liposomes allow CBD to bypass the harsh digestive system to be absorbed directly into the bloodstream. This allows the CBD in our liposomal formula to be more bioavailable, resulting in greater potency and a quicker onset of effects. 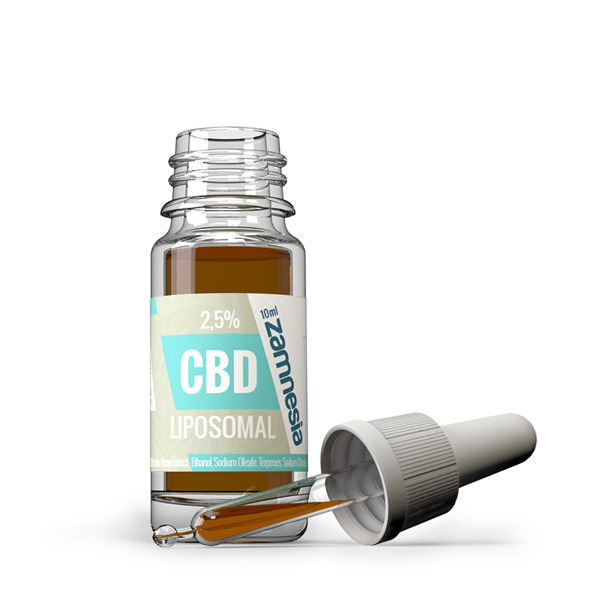 The Zamnesia Liposomal 2.5% CBD oil formula is ideal for those who want an instant lift. Advocates of the therapeutic nature of CBD oil may be sceptical about the lower concentration of this product. This is understandable, but the unique characteristics of the liposomal formula facilitate up to 4 times the potency of a traditional oil. 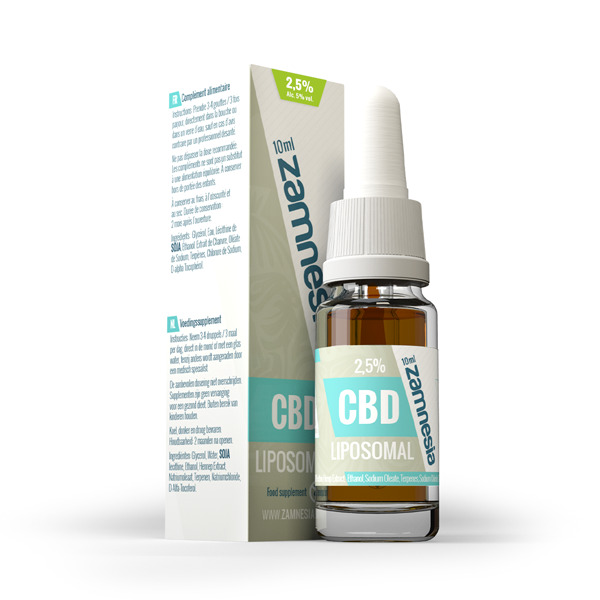 This makes the Zamnesia Liposomal 2.5% CBD Oil just as effective as a standard 10% CBD oil. IS THIS INNOVATIVE ZAMNESIA CBD OIL RIGHT FOR YOU? The distinct advantages of our liposomal formula may not necessarily be for everyone. It contains soy products, so it is unsuitable for those with a soy intolerance. This dynamic product also contains trace amounts of alcohol, so it is not suitable for children or pregnant women. The composite nature of this product precludes it from being made into capsules. It may only be stored for up to 2 months once opened. Keep in refrigerator. Available in 10ml bottles.